Any reduction in this buffer would lead to a self-fulfilling bank run prophecy and accelerate the deposit flight to the point where the local banks are forced to halt operations, and Greece is forced to replace the “soft” capital controls already rolled out with “hard” ones. To restrict or veto ELA funding, which is provided at the Greek central bank’s own risk with consent from Frankfurt, a two-thirds majority of the Governing Council is necessary. A growing minority is opposed to continuing to provide the assistance indefinitely, one of the people said. But with deposits fleeing the banking system and with nonperforming loans – which had stabilized before the radical Syriza government came to power early this year — increasing again, it has been difficult for Greek banks to come up with acceptable assets to underpin borrowing. During the Cyprus crisis, Jens Weidmann, the powerful German member of the E.C.B.’s governing council, bluntly criticized the head of the Cyprus central bank for inflating the value of collateral to allow desperate Cypriot banks to borrow more money. By requiring such large discounts, the E.C.B. is making sure that the same thing does not happen in Greece. The bottom line – it’s over! 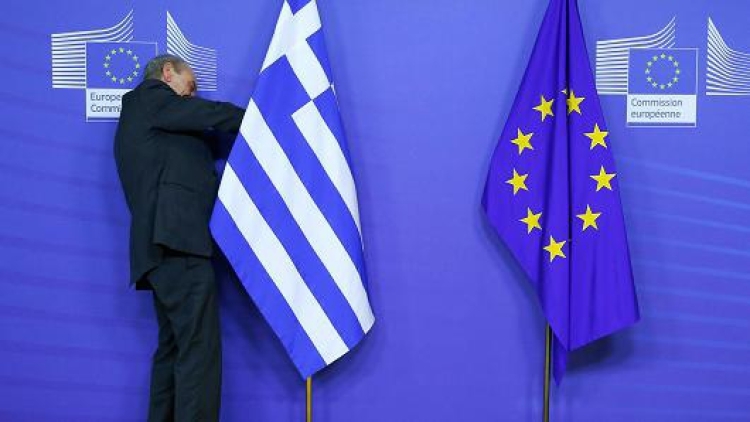 Absent Russian ‘loans’ or Chinese infrastructure deals, the “Cyprus”-ing will begin shortly which perhaps Greek depositors will front-run better than the Cypriots.